Here is a quick baby girl card that I put together this afternoon for a co-worker. Close up : see the sparkle . . . Wonderful cute card Katherine, love the sweet image. 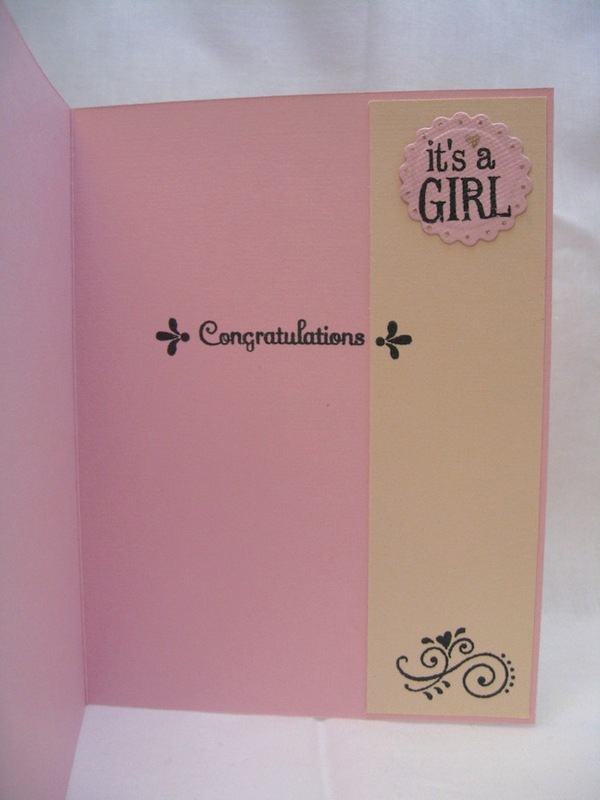 this is just the cutest baby card. The main image really stands out on the embossed image. Oh how sweet! 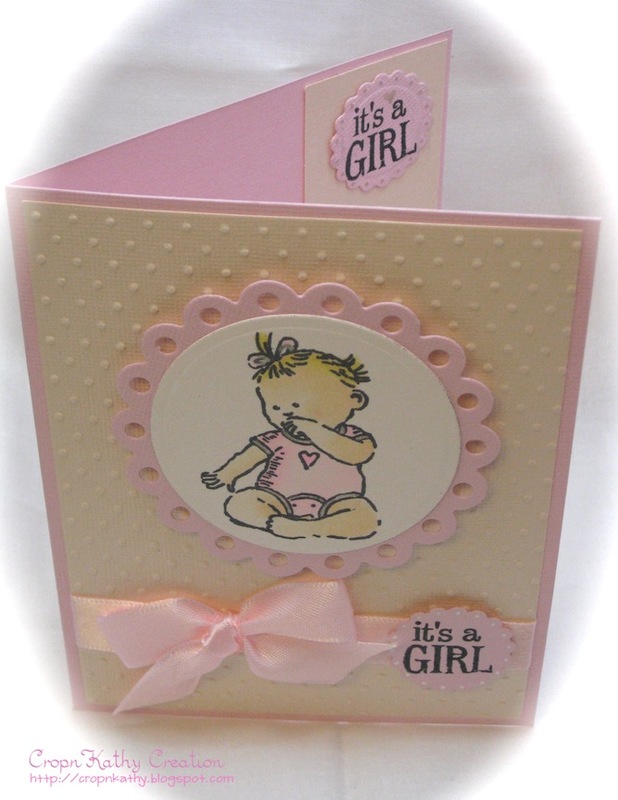 I love the soft pink baby card! Too cute!